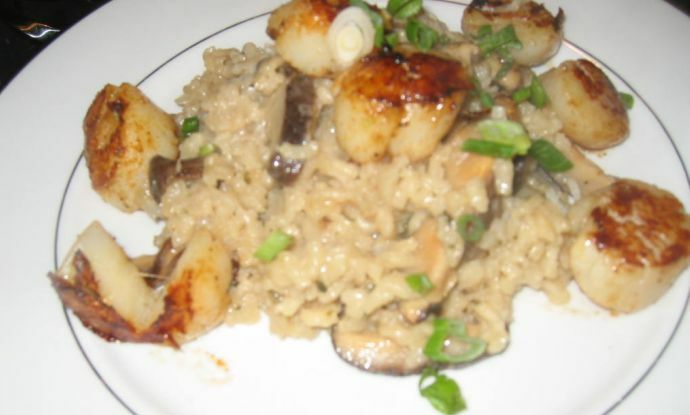 I am in the mood for scallops tonight! 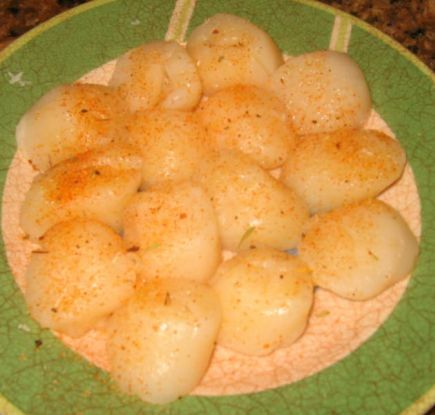 What can is served with Scallops? 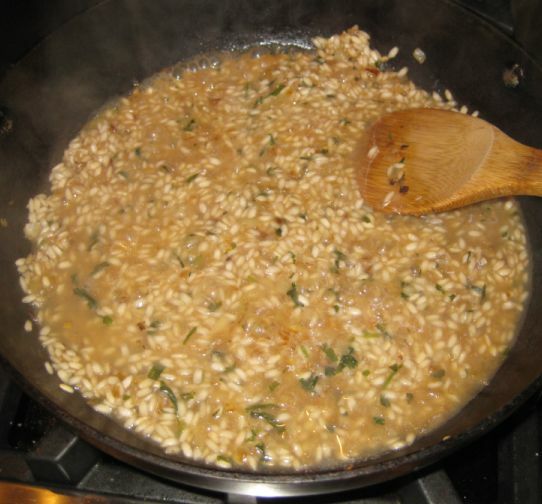 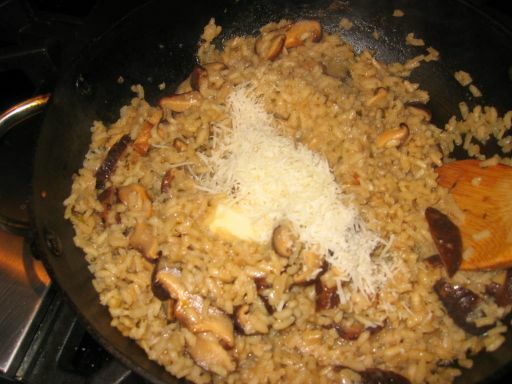 Risotto with mushrooms seems to be a good combination! 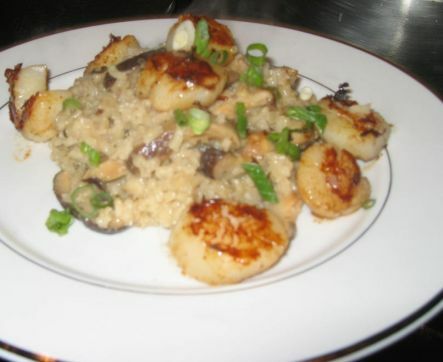 This is an elegant dinner that only took me about 30 minutes or so to prepare. 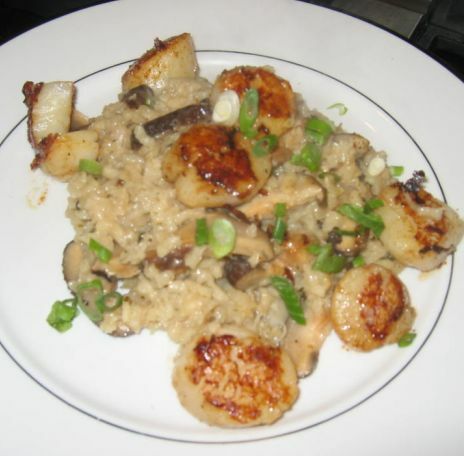 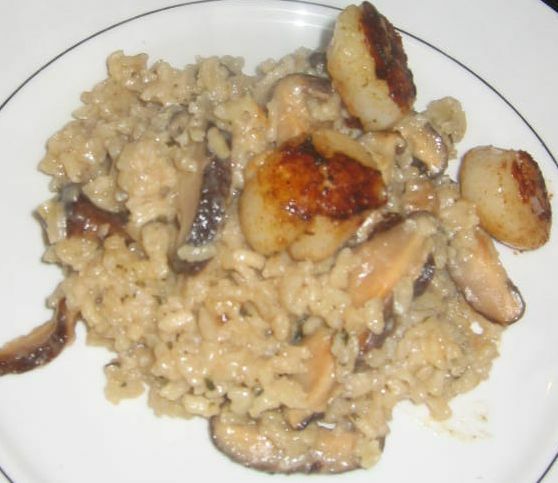 Close look at the mushroom risotto and the pan seared scallops. 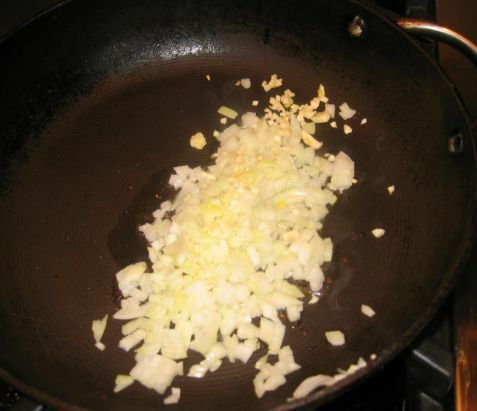 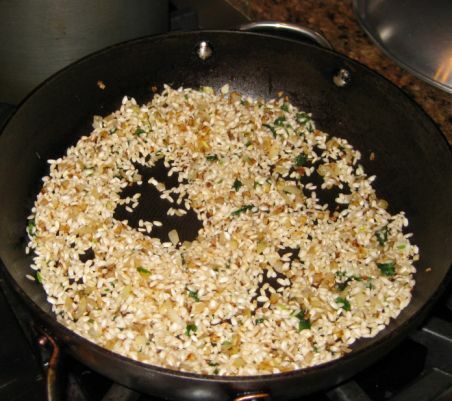 Chopped onion and garlic are sautéed until soft and fragrant. 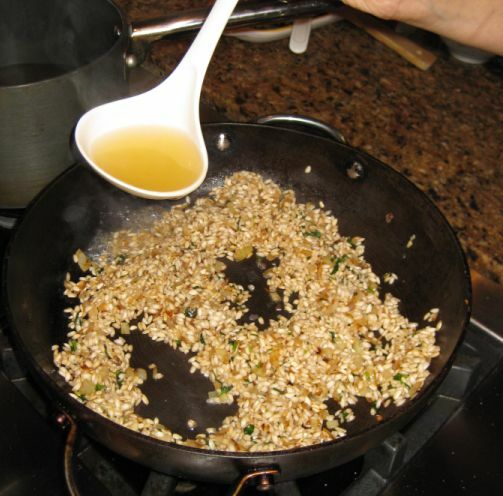 Adding a cup of hot chicken broth to the rice. 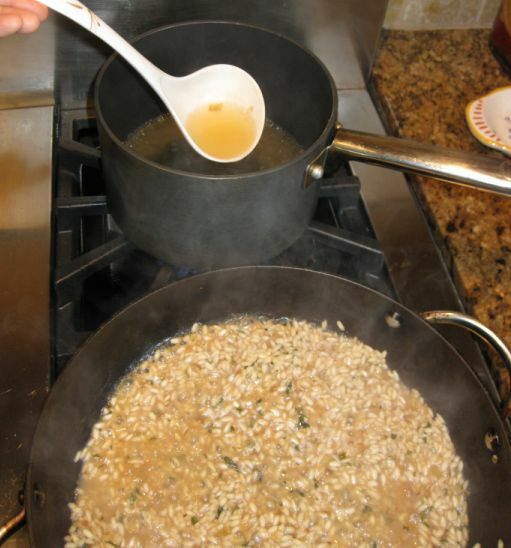 The process is repeated until all broth is used. 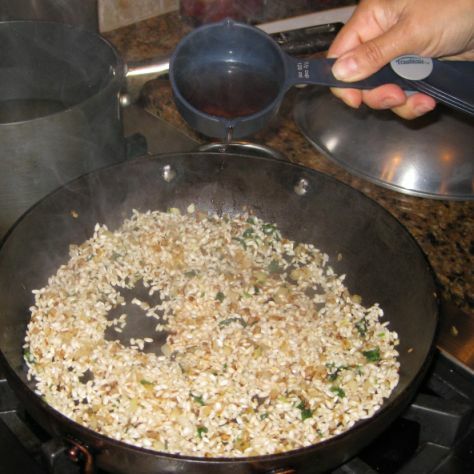 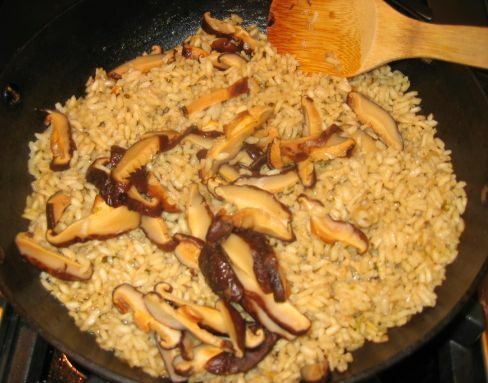 I am adding shitake mushrooms to the rice. 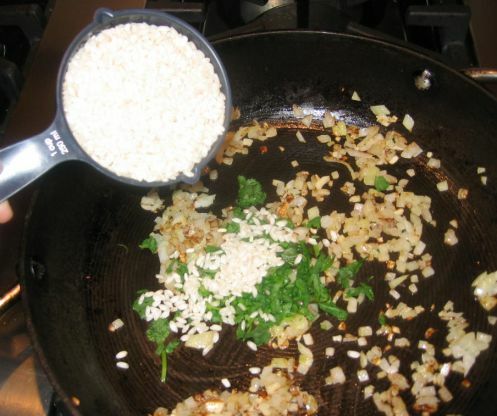 Adding butter and parmesan cheese so the rice is creamy and rich tasting. 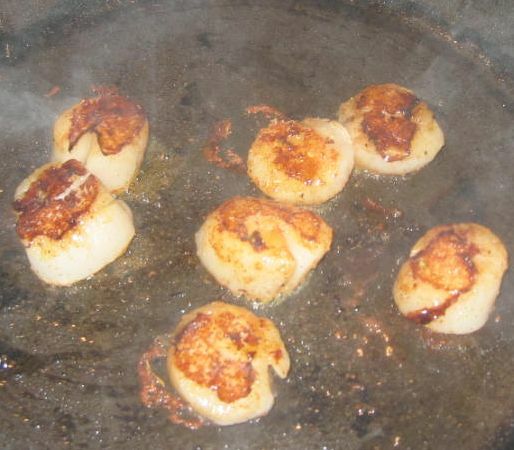 Searing the scallops on a very hot pan just make sure to not crowd your pan if not the scallops will not be seared properly! 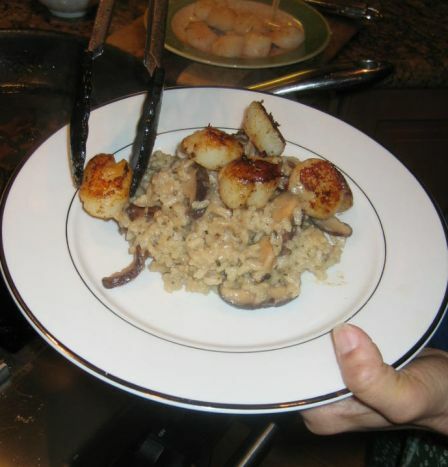 Arranging the scallops and the mushrooms risotto on a plate.